CluJay Lumen... Music is part of his life since his childhood years. He learnt music in conservatory for eight years, which provided a good basis to his ambition of making music. This ambition appeared very early, during the schooldays, when he started to turn compositions of classic authors to his own style, rather than playing the original versions of them. Although he was educated to play on a classic instrument - violin - he early recognized that his desire of creative work would not be realized with this kind of instrument. By getting his first computer, he immediately started to make his ideas to be heard. In the meantime he got to know the synthetizator in the way of self-education also, and as he obtained the newest technologies and softwares, he developed himself with them and got more and more closer to the sounding in which he felt himself familiar. 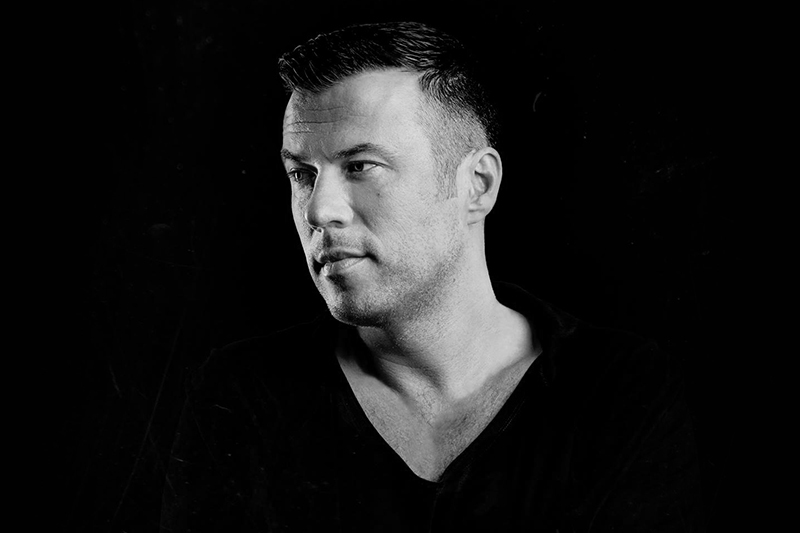 Nowadays, Jay Lumen is one of the most quickly developing new generation DJ/producers. As a producer he has eight No1, twenty Top10, and several Top20 charted tunes till now. His releases are coming out at the best international labels just like Drumcode (Adam Beyer’s label), Saved (Nic Fanciulli’s label), Ministry Of Sound, 100% Pure, Mistakes Music, or the German mega-label Great Stuff, for example, his Top5 track cooperated with Umek, or his other Top3 overall and No1 tech house track called "Is Mine" on Amsterdam's legendary 100% Pure Recordings. He was the only one DJ/Producer in 2010 and 2011 who had 6 tunes (originals and remixes as well) in the Beatport's top chart at the same time and he did it again in 2012 as well. In 2012 he just started the year by a pure No 1 bomb on Great Stuff, a No 8 tune on Christian Smith’s Tronic label, a No 6 track on Mistakes Music, at last time a No 3 tune on 100% Pure and he is just going forward on his way to the top just like by his last cooperated No 6 original release with GaryBeck. His last remix for the Detroit techno legend Kevin Saunderson was No 2 on Beatport just like his last original tune called Get Ready. So in 2012 all his new releases and remixes have jumped to the Top10 charts of Beatport ! He is unique by this record all around the world now just likein2013! Jay’s last 2 bombs are “Nobody” (OFF Recordings) which is a No.1 tune on Beatport actually and “No Money No Honey” (Octopus Recordings) what isinTop10aswellontheNo.5position. As DJ, he made his first party in elementary school, when he was only 14 years old. In the beginning he played his favorite tracks from vinyl, and later, following technical improvement he switched to use CDs instead of vinyl. In his DJ sets he builds from house, tech house, and techno style elements mostly. Dynamic, pulsating grooves and pleasant vocalic tunes are also featuring his sound world and are easily sensible to the listener, both from his tracks and sets. The artist with classic musical prequalification is now one of the most famous and internationally appreciated new generation DJ/producers. He is playing in the best clubs around the world week by week, places like London (EGG, Ministry Of Sound, Pacha), Ibiza (Privilege, Eden), Dubai (Sanctuary), Prague (Roxy), India (Club Pasha) and Germany, Austria, Poland, Egypt, Serbia, Croatia, Bulgaria, Finland, Israel, Russia, Bulgaria, Morocco, Brazil, Denmark, Sweden, USA, Canada, Croatia, France, Belgium, Colombia, Mexico, Spain, Peru, The Netherlands or Australia are all written into the Jay Lumen tour calendar.